The NASC is organising two regional TG20 presentations (North/South) – aimed directly at assisting principal contractor temporary works consultants. The purpose of these presentations will be to promote the wider adoption of TG20 by principal contractors generally. It will also seek to dispel any myths about TG20, whilst encouraging the wider use of NASC member companies for scaffolding requirements. As an added incentive in addition to the free presentation by industry experts, temporary works consultants attending the presentations will each receive a complimentary TG20 full suite (one full suite per principal contractor represented at each location). 12.30pm Close & Sandwich lunch and networking session. The intended audience is strictly temporary works consultants of principal contractors. 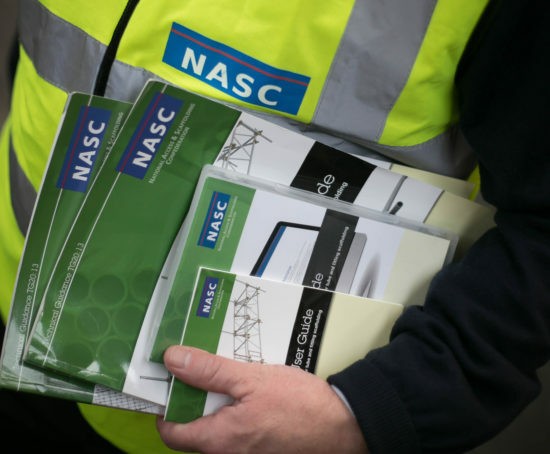 Places will be confirmed directly with the temporary works consultant by NASC following registration, which can be made via email: enquiries@nasc.org.uk.